The ABC Waters (Active, Beautiful, Clean Waters) Programme is a master plan initiated in 2006. In 2011 Atelier Dreiseitl was appointed chief master planner for the second phase of the project, which will be rolled out over the next five years. 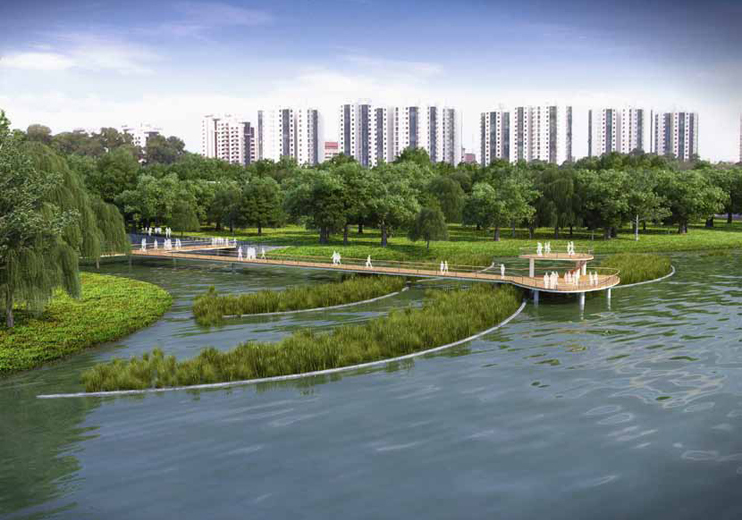 Creating concepts for Singapore's urban waterways has involved catchment and subcatchment analyses and multi-departmental coordination park, housing and traffic government agencies. The outcome is a holistic urban water management masterplan with short-term and long-term solutions to provide flood protection and drinking water collection while creating the most benefits of the landscape, new public recreational spaces and biodiversity in the city. Blue-green infrastructures in parks along the waterways, floating wetlands, rain gardens, swales, wetlands, cleansing biotopes, naturalised canal edges and detention ponds. This project was carried out by Atelier Dreiseitl, now member of the Ramboll Group.